Ok, yarn stashers, you are going to love this project! Display your yarn in a clever "In Case of Emergency Break Glass" shadow box. It's ridiculously easy to create, can be customized for just about any hobby or interest and would make a great gift. 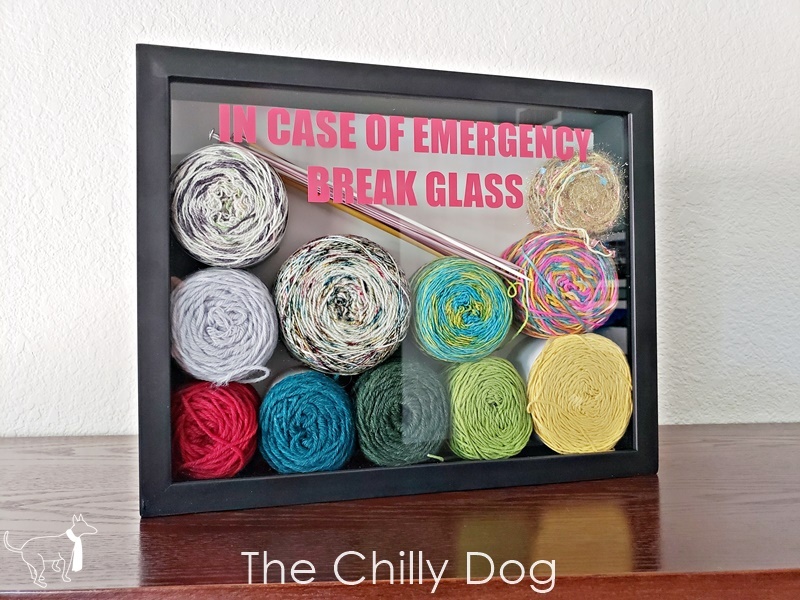 It's really important to use a shadow box that has enough depth. Most yarn cakes are about 3 inches tall, so if you use a box that is only an inch or two thick, your cakes will be smooshed up. I used my Silhouette Cameo to cut the words from a sheet of adhesive vinyl, but you can purchase sheets of vinyl or sticker lettering at most craft stores. 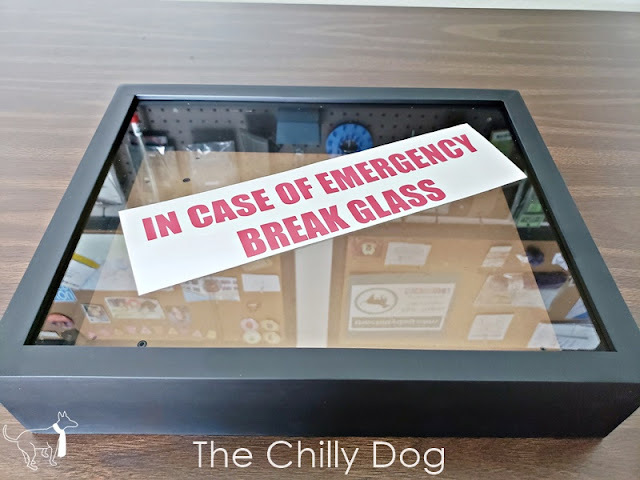 Clean the glass and stick on the words/letters. Now the fun part. Fill it up with yarn or other crafty materials and supplies. If you leave a little space at the top of your shadow box, you may want to put a large piece of plain paper between your items and the back of the box. Close up the back and you're done. Ok, yarn stashers, you are going to love this project! 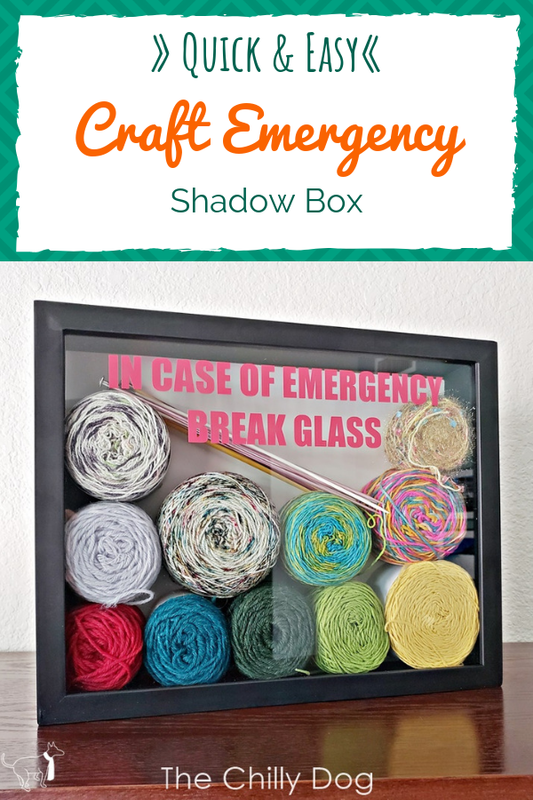 Display your yarn in a clever "In Case of Emergency Break Glass" shadow box.